Controlling hazards is of the utmost importance in occupational safety and the hierarchy of controls provides an effective framework for creating a hazard control plan. The hierarchy has five levels of hazard control efforts ranging from the most effective solution down to least effective and is defined by NIOSH as a way to achieve a safer workplace with less illness or injury. Once a hazard has been identified, employers should work through the different options of controls to choose one (or more) that is both practical and beneficial to the facility. Elimination: Although not always feasible, physically removing the hazard completely from the facility is the best option for keeping workers safe. Substitution: The second most effective route for controlling hazards is by replacing the hazard with a less dangerous substitute. Engineering Controls: Instead of eliminating the hazard, engineering controls work to keep people away from the hazard. Common examples include machine guarding, modifying equipment, ventilation systems, etc. Administrative Controls: This type of control works to change the way work is down. It includes changing or implementing policies and procedures, employee training, maintenance, and more. 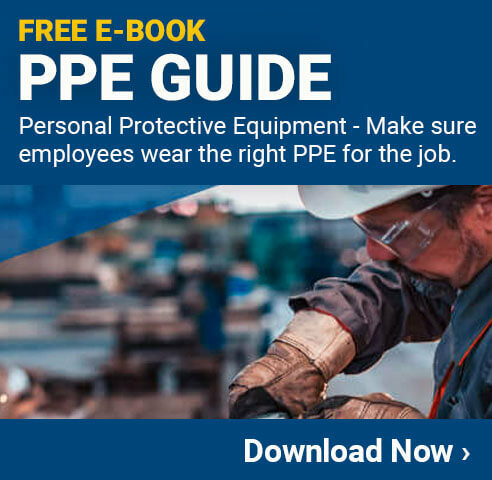 PPE: Finally, personal protective equipment is considered the least effective in the hierarchy. PPE includes any piece of clothing or equipment worn by workers that acts as a barrier between them and the hazard. Because PPE has a chance of failing, it should never be the only hazard control used. The controls chosen needs to be both feasible and effective but should also be a permanent solution. The selected controls should not introduce any new risks to the facility and if one option does not fully protect workers, OSHA recommends using a combination of control options. If permanent measures cannot be implemented right away, temporary measures can be put into place and it is important to remember to periodically evaluate controls to ensure their effectiveness.